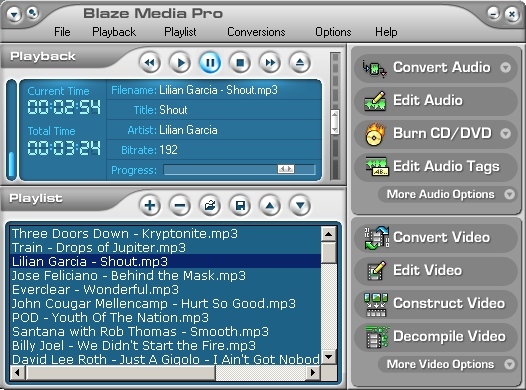 Powerhouse all-in-one media player, converter, audio and video (including full screen) playlists, audio editing and recording, video creation/extraction/processing, audio and data CD recording and much more! Conversions include: CD to WAV/MP3/WMA/OGG, WAV to MP3, MP3 to WAV, WAV/MP3 to WMA, WMA to WAV/MP3, WAV/MP3 to OGG, OGG to WAV/MP3, WAV/MP3 to CD, WAV/MP3 Compression and two-way conversions among MPEG-1, MPEG-2, AVI, WMV, TIFF and FLIC. 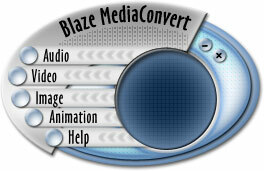 Powerful multimedia batch converter supporting two-way conversion among over 70 image, audio, animation and video formats! Supported formats include CD, MP3, WMA, OGG, WAV, AVI, MPEG, WMV, FLIC, BMP, GIF, DICOM, ICO, JPEG, PCX, PNG, PSD, TGA, TIF, WMF, and more! Advanced WAV/MP3 to CD burning for access in standard CD players; complete CDDB auto-save for conversion from CD; GIF/Video creation; and GIF/Video decompiling are all provided features. 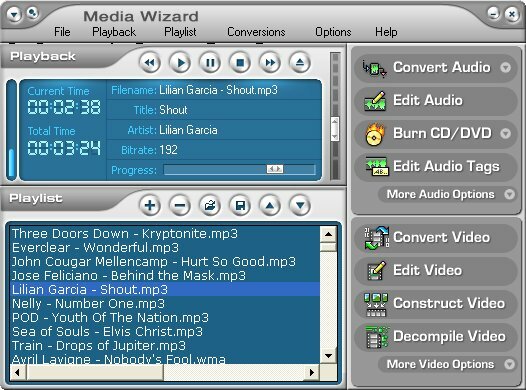 Powerful all-in-one media player, audio/video converter, audio/video (including full screen) playlists, audio editing and recording, video constructing/decompiling, and much more! Supported conversions include: CD to WAV/MP3/WMA/OGG, WAV to MP3, MP3 to WAV, WAV/MP3 to WMA, WMA to WAV/MP3, WAV/MP3 to OGG, OGG to WAV/MP3, WAV/MP3 to CD, WAV/MP3 Compression; and two-way conversions between MPEG-1, MPEG-2, AVI, WMV, Multi-Page TIFF, and FLIC. With Resource Tuner you can completely customizes the user interface of any program you own. And using the XP Visual Style Manifest Wizard, you can allow your legacy application to take advantage of the slick new look for common controls featured in Windows XP.